We love working with agents! Here are some resources to help you make the sale. Once your clients confirm by email, they can tour any Richmond American community—even when you're unavailable—without risk to your commission. Be sure to check out our Broker Co-op policy for more information about our commission program. 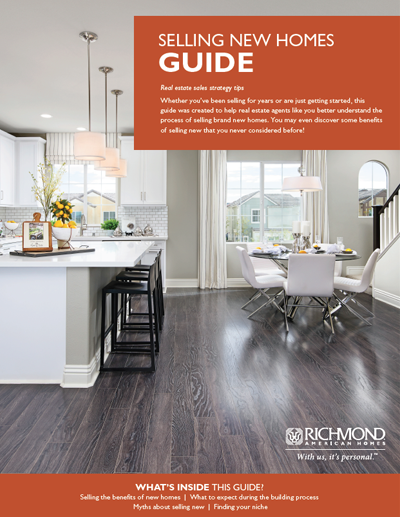 You know resale, but do you know new homes? Get inside tips on the unique challenges and opportunities of selling new construction! Check out the newest floor plans, communities and feature articles on our blog, Agent HQ™. All of our agent events are posted to Twitter! Plus, get the latest information on new communities, floor plans and more.